Princess Easy Pleasy is here! From her palace grounds in India to a whirlwind trip around the world, we find that Princess Easy Pleasy is all but easy to please! She drives the royal packer up the wall with her whims that are as seasonal as her royal vacations. From pet elephants to an overloaded plane—this rollicking story with gorgeous illustrations by Priya Kuriyan guarantees a good laugh. “Vacations were sometimes a nightmare when the kids were younger, they’d want to pack in toys, the favourite pillow, a blanket, a stuffed toy, two dogs and a drawer full of nothings. Obviously we’d turn the request down and they would then have meltdowns making us wonder if we should be holidaying at all. 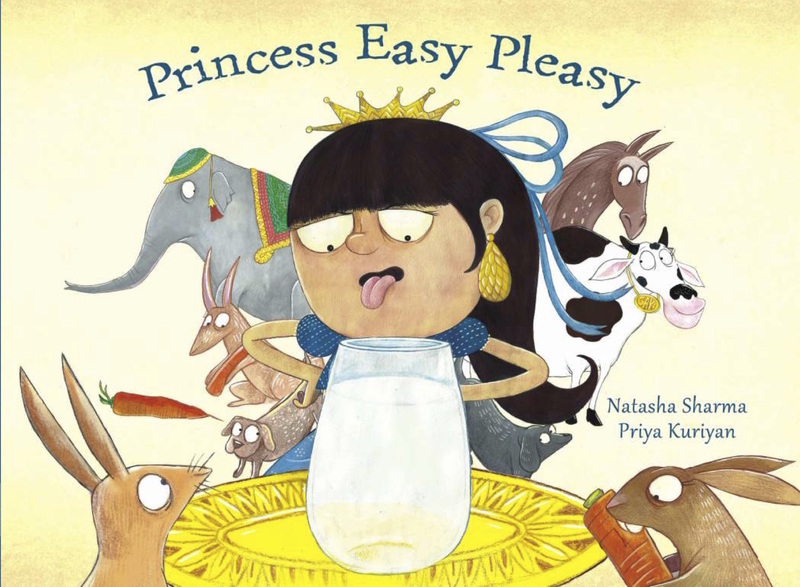 So, when Princess Easy Pleasy by Natasha Sharma and Priya Kuriyan arrived at our home, it was a nostalgic read for me! How Princess Easy Pleasy came about being written!